The big guns start to return for their spring preps at Randwick on Saturday for Sydney’s first Group race of the season. Six Group 1 performed gallopers kick off their spring campaigns at Randwick on Saturday in the Group 2 Missile Stakes (1200m). A number of them are auditioning to secure one of the last remaining slots in The Everest including Kementari who makes his highly anticipated return. 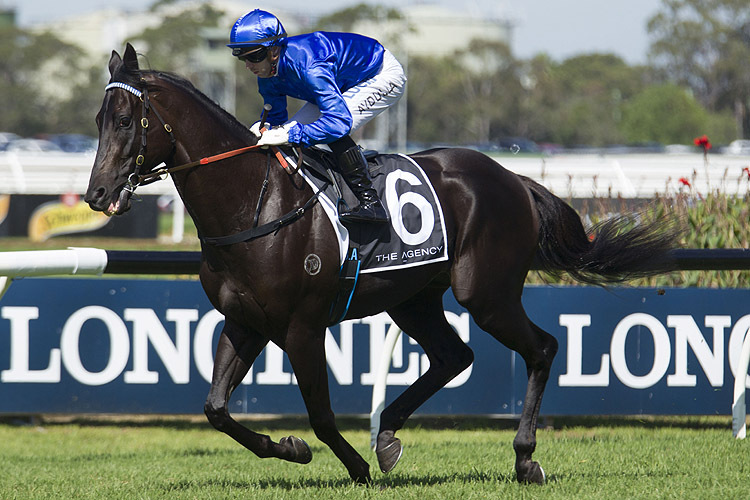 The son of Lonhro resumes after an impressive three-year-old season which netted three Group wins, the pick of them his Randwick Guineas success. He showed his sprint ability through the lead ups, taking out both the Eskimo Prince Stakes (1200m) at Warwick Farm and the Hobartville Stakes (1400m) at Rosehill with consummate ease. The Godolphin colt boasts a master Timeform rating of 125p for his Randwick Guineas win and figures returned for his sprint performances during the autumn weren’t far behind. Such ratings sit well superior to anything his rivals produced through the autumn, Showtime the closest with a Timeform rating of 119 recorded when placing in the Futurity Stakes (1400m). James Cummings has prepared Kementari to fire fresh with two trials in readiness, his latest particularly eye catching over 4 1⁄2 f at Rosehill. Kementari is currently $2.10 to win the Missile and any price even money or greater is enough to be happy with for one of the stars through the 2018 autumn. In terms of a value play, Reach For Heaven fits that bill contesting the ATC Owners Benefits Card Benchmark 82 Handicap (1200m). The son of Savabeel resumed well, settling back and closing nicely to run fourth behind Star Of Monsoon at Rosehill three week’s ago. Form out of the race has held up well. The winner Star Of Monsoon has since come out and placed in a strong Benchmark 90 at Rosehill last Saturday. Third placegetter Paret took out a Benchmark 73 on the same day and looks poised to hold his own at stakes level. The runner up Smartedge was dropped back to the midweeks and won as a well supported favourite at Canterbury. Reach For Heaven again clashes with Smartedge here and meets the Team Snowden runner 7lbs better at the weights from when they last met. The five-year-old has placed in each of his three prior visits to Randwick, an ideal stat heading into Saturday considering his current $6.50 quote.